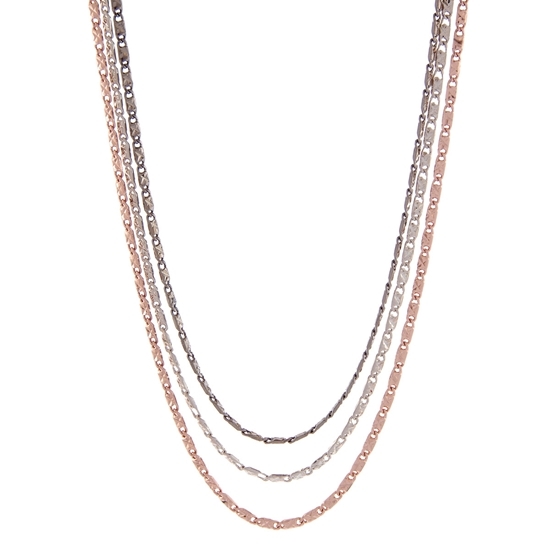 Embrace the mixture of beautiful designer chains when you wear our “Here and There” neckpiece. 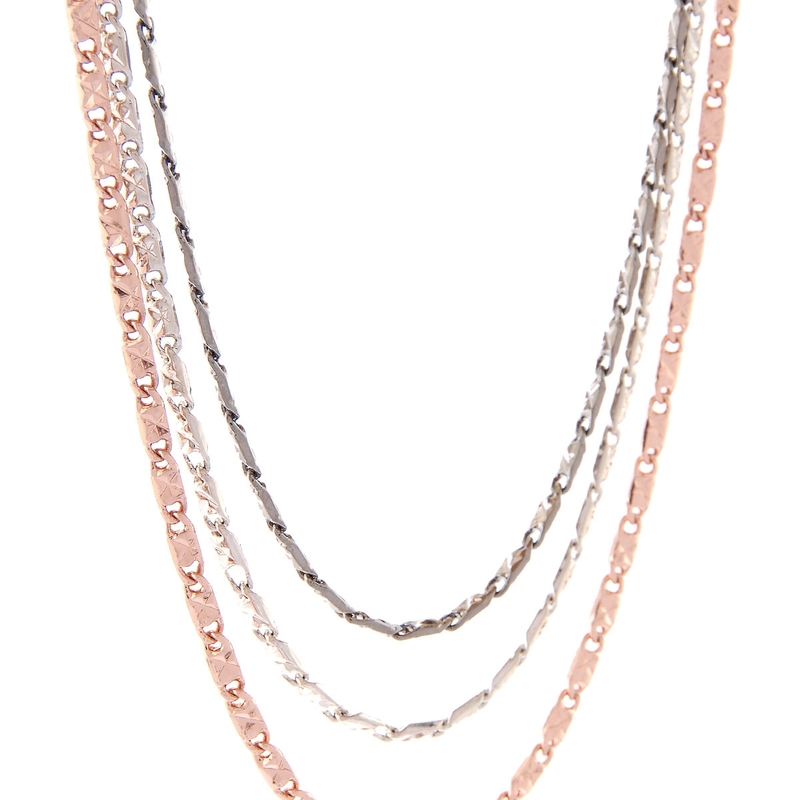 A perfect combination of rose gold, hematite and silver creates a mesmerizing design. 18" neckpiece with 2" extension. Lead and nickel free. Embrace the mixture of beautiful details when you wear our “Here and There” earrings. 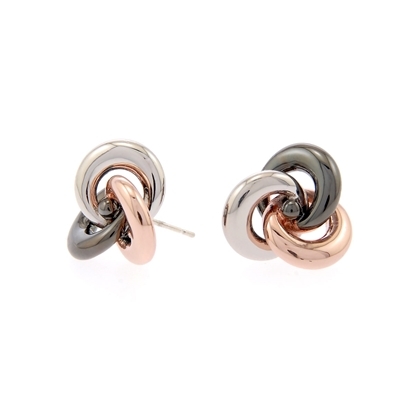 A perfect combination of rose gold, hematite and silver creates these mesmerizing treasures. Sterling silver posts. Lead and nickel free.